BIO: Mackenzie. Loves: Burgers. Hates: meh. Was voted Class Clown in high school but secretly lusted for “Most Likely To Date a Cast Member from “One Tree Hill”. Just kidding, that wasn’t an option. I dream of being Taylor Swift’s best friend. Torres: I’ll usually build a song around an idea or phrase; I start with the hook and write the rest when I figure out what it is I’m trying to say. The process for me is about 10 percent writing and 90 percent waiting. That period of waiting (generally anywhere from 6 months to a year) is the time I allow my subconscious to formulate and brew the concepts that will eventually become songs; the writing process itself is sporadic and quick. OSW: Your lyrics are very detailed and intimate. Do they come quickly or are they tweaked over a long time? Torres: That last answer sort of takes care of this one to an extent. They come quickly and then I suppose I tend to sit on them for weeks or months at a time until they’re ready to be realized. OSW: You have a degree in Songwriting from Belmont. What have you learned outside of school that they never covered? What did you learn via the degree that you think more writers should know? Torres: Learning how to bring the same energy to a live performance every night whether there are 5 people or 500 people is something you could never be taught in a classroom—it’s the endurance and the psychological stuff that doesn’t come from a textbook. In terms of writing, the professors can show you every hit formula in the book, but if you don’t have an enticing story to tell, it won’t matter a lick how many classic song structures you know. The degree gave me some golden-rule knowledge about songwriting that I’ll never lose. Most of what you write will be bad; nine out of every ten songs should probably be scrapped. Keep writing anyway. What goes in must come out. Read, watch films, have relationships and allow yourself to experience the violence of life’s extremes. Change is good and discomfort is better. You won’t be able to write anything if you’re not giving yourself anything to digest, figuratively speaking. OSW: You’re from the South originally. Does that have an impact on your writing? Torres: Sure it does. It’s my home. It impacts me, and anything that impacts me finds its way into my writing. OSW: Are you comfortable writing on the road now? Torres: Not at all. I don’t really have time for writing on the road, at least not at this point in my touring career. OSW: What would you like to add or do differently on your next album? Torres: I’m not sure yet. I think I might need to dive a little deeper into my psyche as I’m writing this next one—it’s probably going to be a little darker than the last. OSW: I’ve read that you write poetry also. What poets influence your songwriting? Torres: Sylvia Plath was my first love. She’ll always have her stake as a crucial influence on my writing. I really love Walt Whitman—Song of Myself makes more sense to me every time I read it. 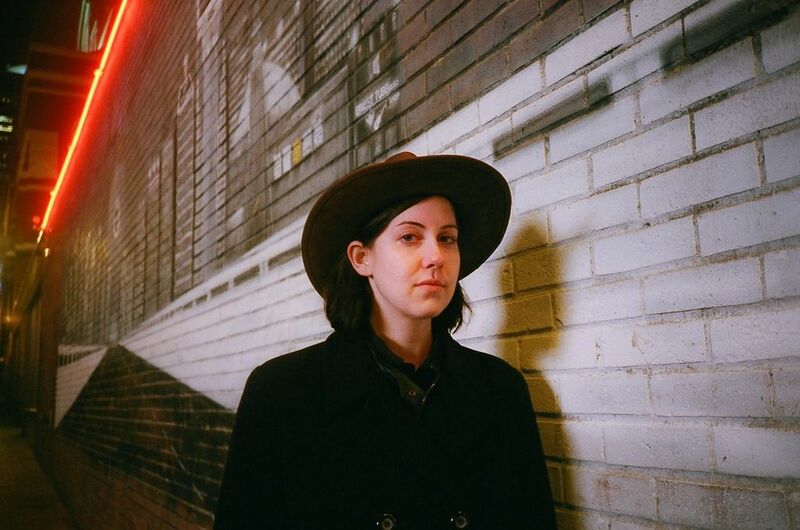 OSW: I first heard about you, as did many people, via Sharon Van Etten. I love seeing people like her that are so supportive of their friends. How did you two meet and how important has her support been? Torres: We met at a show that I played at the Paper Box in Brooklyn back in February of this year. I lost my cool a little bit—I’m sure she could probably tell I was super nervous/excited that she was there. Her support has been invaluable to me. She’s so good about introducing me to industry people and artists I’d normally not have the opportunity to meet. I’m not sure she even knows how much she’s helped me to get integrated, professionally and personally. I had bronchitis a couple weeks ago, right after I moved to Brooklyn, and she was such a mom. She convinced me to go to the doctor and get some antibiotics. I love her. Torres: I have too many to pick a favorite. One that always feels poignant is a Brandi Carlile lyric from a song called “What Can I Say”. Oh, Lord, what can I say/ I am so sad since you went away/ Time, time, ticking on me/ Alone is the last place I wanted to be. Write when you don’t want to write. Remember that your words hold the power of life and death. Remember that it’s sometimes okay and even necessary to include someone’s name in a song you’ve written. Joan Didion reminds us in Slouching Towards Bethlehem that writers are ALWAYS selling somebody out. If you’re afraid to do that, keep writing until you’re unafraid. Stop taking yourself so seriously. It’s going to be embarrassing in retrospect. I’m only 22—probably just don’t heed any advice I give. Torres: I’m not sure. I’m actually not too interested in talking about songwriting. I got a degree in songwriting, and I write songs, but I don’t normally enjoy having conversations about it. I guess I’d probably be pretty interested in a songwriting discussion with someone like Steve Albini or David Byrne. Stephin Merritt would be a dream, too. Oh God, I love him. These are all artists that take a drastically different songwriting approach than I, and I’m inclined to explore those different facets of the art form that are so unlike myself. I could probably take a few cues in being more carnal or cerebral or whatever it is—I have a lot to learn. All interviews and Bonus Materials, including Torres, will be archived alphabetically HERE for easy access in the future. This entry was posted in Interviews and tagged Belmont, Lyrics, Poetry, Sharon Van Etten, Songwriter, Steve Albini, Sylvia Plath, Torres songwriting interview, Walt Whitman. Bookmark the permalink.